Welcome to Hong's Acupuncture Healthcare Center. 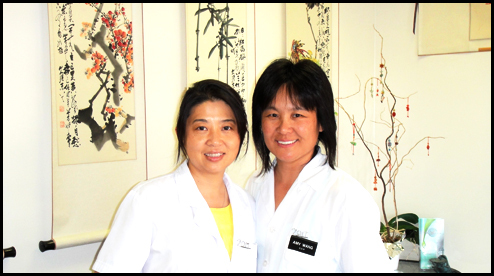 This clinic is operated by professionals and licensed Chinese Acupuncturists also specialists in herbal nutrition. The physicians in this clinic are Florida Board certified licensed Acupuncturists and also NCCAOM board certified in Oriental Medicine and Chinese Herbology. They are licensed to practice in the State of Florida and the clinic is conveniently located in the Palm Beach Gardens/North Palm Beach area, easily accessible to residents of Jupiter and many neighboring areas as well. This is an alternative medicine center and it has earned excellent reputation and respect throughout the years by providing integrative medical care to people from all over Palm Beach County and beyond. If you are not feeling well and are tired of being constantly sick, then you should call for an appointment today with one of our friendly and experienced licensed Chinese Acupuncture and Herbologist Physicians and let them improve your life. Acupuncture and Chinese Herbal Medicine are very effective in treating numerous health issues and will help you get back your natural sense of well-being. Copyright 2008 © Hong's Acupuncture Healthcare Center. All rights reserved.